Like other vital parts of the amazing human machine, the human circulatory system was designed to last 100 years or more, given proper care. Unfortunately, owner negligence contributes, heavily to early break down. In fact, as far as health and longevity are concerned, the deadly combination of ignorance and apathy often far outweigh the wearing-down process that is a normal part of aging. Interference with this system affects cells and can impact energy, strength, and immune system functions . Eating vitalized foods, limiting dietary fat, and receiving adequate exercise are three main contributors to circulatory health. are now the number one cause of death! In the U.S. alone, approximately 30 million people suffer from some form of circulatory distress. HEART - Pumps both fresh and devitalized blood through a closed system of constant regeneration. 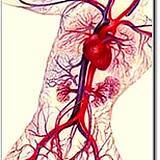 ARTERIES - Large tubes that carry fresh blood and branch into capillaries for detailed distribution. VEINS - Large tubes that return "used" blood from the capillaries to the heart and kidneys for purification and regeneration. CAPILLARIES - Small tubes that deliver nutrients to each cell. Transporting nutritional cargo to every cell requires large rivers of blood, traveling in tubes called arteries. In order to personally care for each cell, the rive divides into tiny capillaries that can reach into every crevice of the body. Along with making nutritional deliveries, capillaries also pick up cellular waste products. Veins carry old blood loaded with discarded waste, which is cleansed by kidneys and lungs. After carbon dioxide and other waste gases are exchanged in the lungs for oxygen, the heart recirculates the renewed blood. Technically speaking the human circulatory system is a masterpiece of organic activity. Composed of a network of 60,000 miles of blood vessels and a pint sized, powerhouse pump know as the heart. The heart services more than 2,000 gallons of blood per day, feeding and replenishing other organs and making life possible. In an adult, the heart is normally an 11-ounce, fist-size organ that literally pushes blood through arteries, veins and capillaries. It does this by means of muscular contractions sparked by electrical impulses from the heart's pacemaker (sinoatrial node). All of the cells within each of the chambers magically work on cue. First the right side sends blood to the lungs. There carbon dioxide is removed and oxygen is added, turning the blood a bright red color. Then the blood is pumped to the left side of the heart and sent via the aorta to the rest of the body. In the beginning within a month of conception the cluster of cells that will, in the course of time, become a human being, begins throbbing, signaling the development of a primitive heart. Scarcely four weeks more pass before an intricate network of veins and arteries the size of a pea form and subdivides into a tiny replica of the four chambers that will one day make up the adult heart. As chambers that will one day make up the adult heart remain dependent upon the mother throughout the entire pregnancy, in the later stages the organ becomes strong enough to beat on its own. Even so, until birth the baby is cared for and nourished through the mother's placenta. An umbilical cord provides a supply line that furnishes food and oxygen for the baby and also removes waste. When at last the birthing moment arrives, the baby emerges a separate individual, almost as son as its first cries are sounded, its pulmonary and circulatory systems undergo a change that renders them self-sufficient. the heart pumps tens of millions of gallons of blood. to a height greater than the Empire State Building. Most circulatory problems are caused by blockage in the artery, which is known as atherosclerosis or hardening of the arteries. No one knows for sure why this happens, but the prevailing theory states that something causes the protective inner lining of an artery wall to be injured. Once impaired, the collagen in the lining is exposed. That, in turn, attracts platelets and toxic substances from the bloodstream, which enter the artery wall. Eventually, the process leads to a buildup of debris, narrowing of the artery and finally, blockage, in return leads to human circulatory system problems. Interestingly enough, although the heart has a continual flow of blood streaming in and out of its chambers, it is unable to take the nourishment it needs from this source. 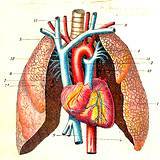 Rather, it must rely o its own minature circulatory system, which branches off from the aorta or main channel. 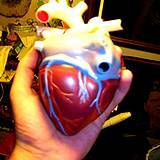 Here tiny but extremely important vessels called coronary arteries provide the means to feed the heart. Like other arteries they are also subject to blockage. Ad herein lies a potential and fairly common tragedy, because when coronary arteries cease to function as they should, the heart is deprived of the oxygen and nutrients it needs. Starved, it becomes damaged and at worst, dies. Most human circulatory system disease is caused by blockage of an artery, known as atherosclerosis or hardening of the arteries. Fortunately, the risk factors are things that we can influence. Smoking robs the heart of vitally needed oxygen. The only way to eliminate or reduce this risk factor is to never smoke, or to quit smoking. Most people are aware that smoking is dangerous to the heart, lungs and general health. Blood Pressure Management there is a correlation between excessive sodium intake and high blood pressure. People who know they are hypertensive or are susceptible should eat a low-sodium diet. Processed foods are high in sodium and lower in potassium than natural foods. 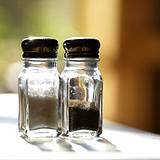 Paying attention to diet and eating as much food in its natural state and greatly lower your intake of sodium. Cholesterol is a type of animal fat that is either manufactured by the liver or absorbed through the diet. Cholesterol helps the body metabolize carbohydrates and manufacture its own vitamin D. It also is a prime supplier of certain essential hormones. However, problems occur when cholesterol and other fats start lining the insides of arteries, narrowing them and making them susceptible to deposits of plaque. This hampers the flow of blood and consequently the supply of life-giving nutrients and oxygen. Obesity both directly and indirectly affects a number of other factors that relate to human circulatory system problems. Overweight individuals tend to exercise less than those who aren't overweight, and exercise is important for circulatory health. They also tend to consume more fats, which increase the levels of fats in the bloodstream, and sugars, which encourage glucose intolerance and even diabetes. NOT GOD'S OR NATURE'S WILL"
Heredity for some reason, certain people are genetically predisposed to circulatory problems. Some unknown factor they inherited from their parents makes their bodies less able to cope with the things that contribute to heart and blood vessel difficulties. These people may be troubled by elevated levels of cholesterol or their blood pressure may rise to dangerous levels, or there may be other weaknesses. The trick is to be aware of any hereditary problems and to work towards strengthening weaknesses. Stress People need to learn to handle the stresses of everyday life. In fact, it is important to learn to stop and smell the roses on a regular bases. Blood pressure tends to go up in response to stress. That is natural and good. Not handling the stress and letting it build up is not good.